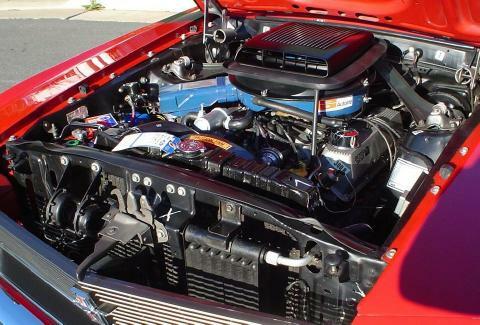 Looking at a 2013 Boss 302, and so far, all I have looked at had a Boss 302 intake. This one however, does not. I believe it has been changed to the Cobra Jet intake. Dealer, bought the car at auction, says no. This would be the Ford Racing # M-9424-M50CJ intake manifold, with accompanied non O.E.M. throttle body, cold-air kit & strut tower brace, etc. Ford Racing did not provide any tuning calibration for these; therefore the resultant compatibility "tune" accomplished by ones "local tuner" varies greatly from one example to another; so generally my advise, as one who has marketed the product, unless you are well acquainted with the history of this particular vehicle, realizing that it's being traded at wholesale auctions to get it off someone else's used car lot...........in short...........RUN! scotts 100% right never thought about the tune.intake and tb both require tune also cai depending on type is required. Yes, could not help it, specially once I test drove it. I did contact a local performance shop (since yall seemed to point in that direction) and I am suppose to setup a dyno/datalog to to check out the tune. So far the only issue I have is keeping the rear wheels from spinning (and rear end fish tailing) in the lower gears (OK maybe keeping my foot off the gas). Well, that sure looks like a smile on your face! Welcome to the BEST BOSS site! They are fun. Without history, I hope you got a deal and warranty from the dealer. What is the shifter in the car? Some guys switch them out because the Ford stock shifter is terrible. Do you know the build number? Car cover, manuals, etc? Welcome to the Club ! That smile says it all I bet the pic was taken as soon as you got back from a test RUN LOL!!! Do you know this shop and its' history? If not, slow-down, just drive the vehicle, become familiar with it, establish for yourself if there are any issues that you observe that may need addressing; Particularly being attentive for any detonation scenarios which could lead to engine destruction. And, not to disparage anyone in particular, but, my experience with so-called 'tuners' has left me with the impression that most of them don't know their a$$ from a hole in the ground, when it comes to what an engine is, or how it truly functions. Well the performance shop was recommended because they specialize in Ford and Mustangs. Had really good reviews on Google. Some others (a lot closer to my house) were deemed OK but over priced. Anyway, since I told him I pretty much wasn't into racing and just want to enjoy my car, he said the tune was perfect for me. He said with a more aggressive tune more power could be gained, but since that is not what my highest priority was, he would leave it alone as is. No up sales, no trying to talk me into other stuff. He said it also had non-factory lower control arms in the back. So not sure how much this thing was modded, but I do love the way it sounds and drives and specially the way it looks. Also the Dyno maxed it out at 162 MPH with the 4th gear test. Yikes! Woah! Better hang on for that ride!